Bundesliga | Who is... new Hannover 96 forward Mevlüt Erdinc? Who is... new Hannover 96 forward Mevlüt Erdinc? Cologne - The last man to wear the No.39 shirt at Hannover 96 proved a big hit in Lower Saxony, but can new striker Mevlüt Erdinc do the same? France-born Erdinc spent his early days at hometown outfit Saint-Claude and later Jura Sud Fut, before joining FC Sochaux-Montbeliard in 2000. Upon signing first professional deal with the club in 2005, he was promoted straight into the first team and delivered on the hype by netting a debut goal in a 1-0 win against AC Ajaccio. The goals began to flow as Erdinc finished Sochaux’s top scorer for two seasons running, with the last of his 78 league strikes in a blue and yellow jersey saving the club from relegation to the second tier on the final day of the 2008/09 campaign. Interest in the young forward skyrocketed, but it was Paris-Saint Germain who fended off the competition to secure his signature in summer 2009. 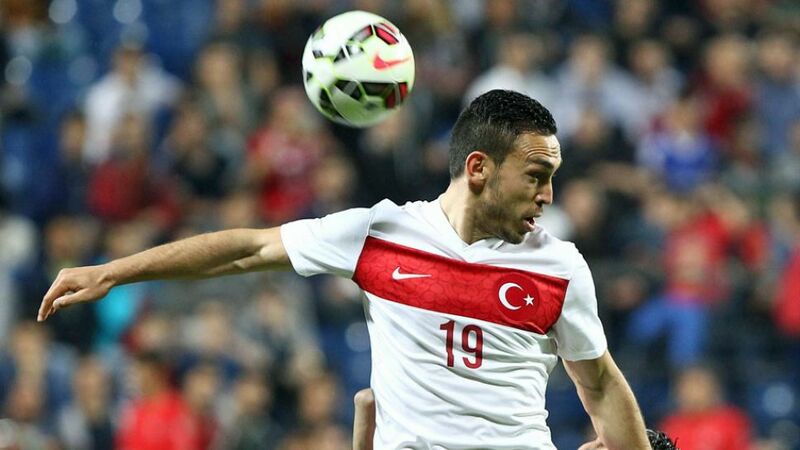 Erdinc continued his prolific form in the French capital and was even voted Ligue 1 Player of the Month for August. He netted a hat-trick in a 4-1 win against former employers Sochaux, before scooping the PSG Player of the Year award for 2009/10. Hardly surprising seeing that he ended the campaign as the club’s leading scorer on 19 goals in all competitions. Erdinc was on his way to becoming a household name at PSG, only for some major changes at boardroom level to curtail his rise to the top of the French football ladder. By now a bit-part player, the former France Under-17 and U-21 international moved to Ligue 1 rivals Stade Rennais FC in search of regular first-team football. Erdinc hit the net 13 times in all competitions for Rennais in 2013/14, but he made just four league appearances for the club the following campaign before switching to AS Saint-Etienne on deadline day. True to form, he finished the season as top scorer for Les Verts as Christophe Galtier's men pulled off a surprise top-four finish and qualified for the UEFA Europa League. Despite a number of niggling injury problems, Erdinc managed to score another nine Ligue 1 goals over the course of 2014/15 to help Saint-Etienne back into Europe, before seeking out a new challenge with Hannover. His CV promises much, but only time will tell if the 33-time Turkey international can deliver with Diouf-like regularity in the Bundesliga.